A friend of mine (you know who you are) asked help (kind of) ,how to clean up the content inside ccmcache folder in better way instead of using script to deploy it as application/package/task sequence . 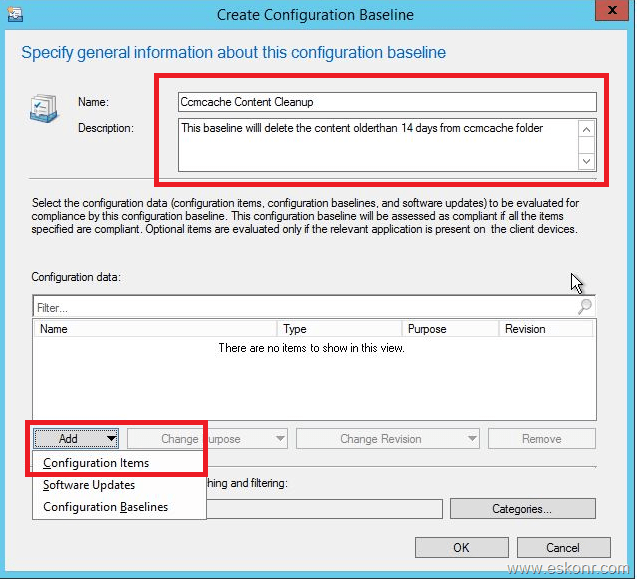 I would recommended to use compliance settings(configuration item/configuration baseline) to deploy the script on schedule basis (monthly once or how you want) to Clients. 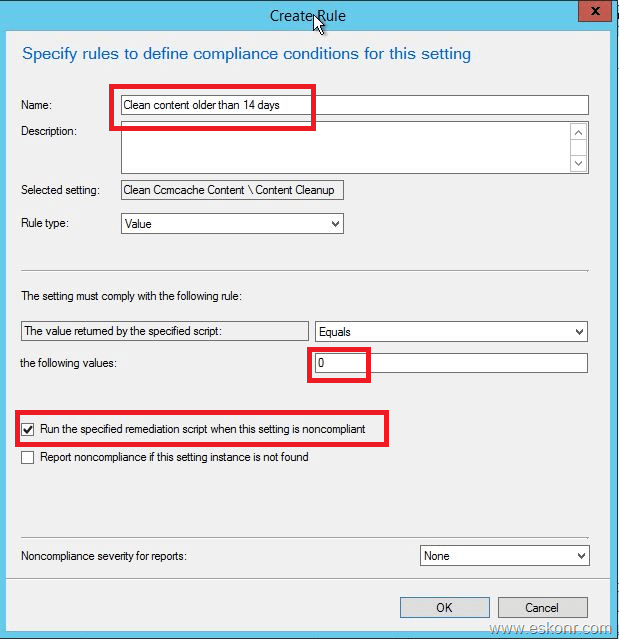 One advantage of using compliance settings is that, you do not need use source files to implement this solution and it would be easier to discovery and remediate if any content found older than x days. 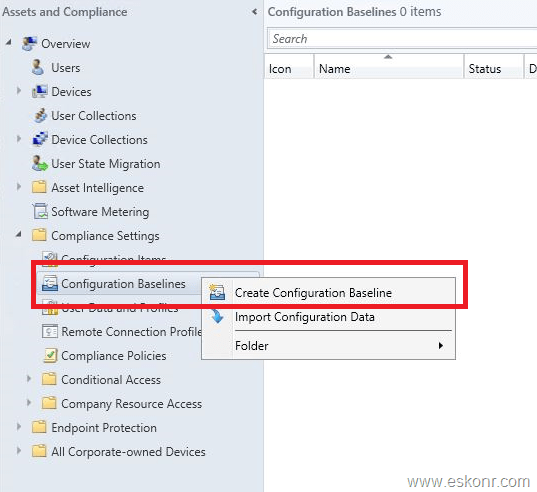 In this blog post, we will see, how to use simple PowerShell script (can get from many sources on internet) to create configuration item and configuration baseline and deploy to clients. If you do not want to follow all the steps outlined here ,jump to end of the post, to see how you can achieve this task in just 2 to 3 steps. Follow the settings as outlined below . For Discovery script ,click on edit script and use the following PowerShell script. This script will tell us ,the count of folders inside the ccmcache older than X days which will help us to clean the content. Change the number of days that you want to delete content older than. This script will clean the content (folders) older than 14 days. 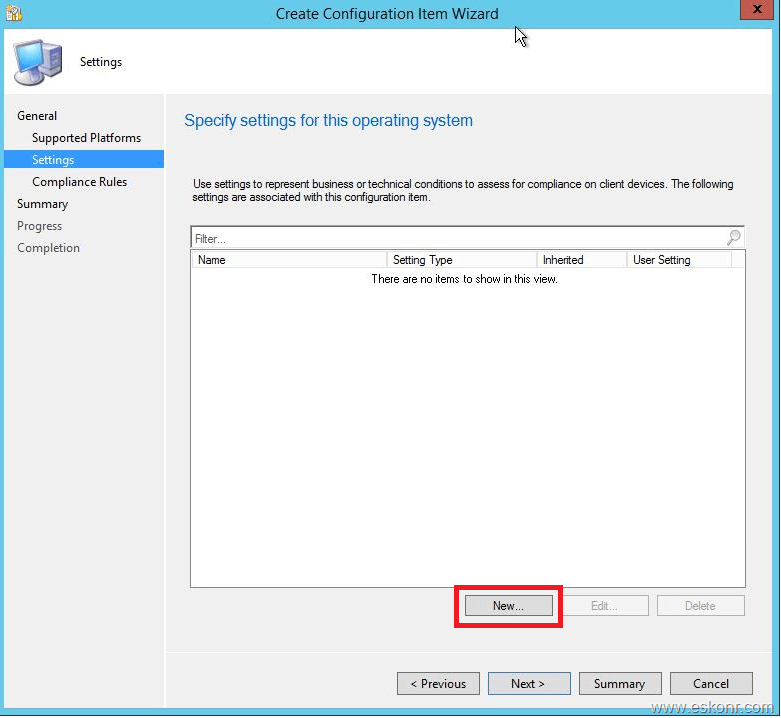 Enter the name that you wish to use for the rule name and select the return value by the discovery script 0.
verify once if the settings are configured correctly below. 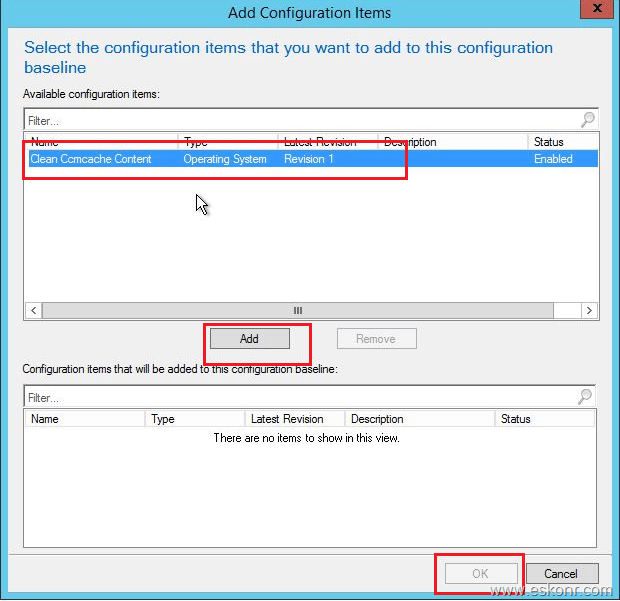 with this ,we have completed ,how to create Configuration Item which includes all the settings like discovery ,remediation . 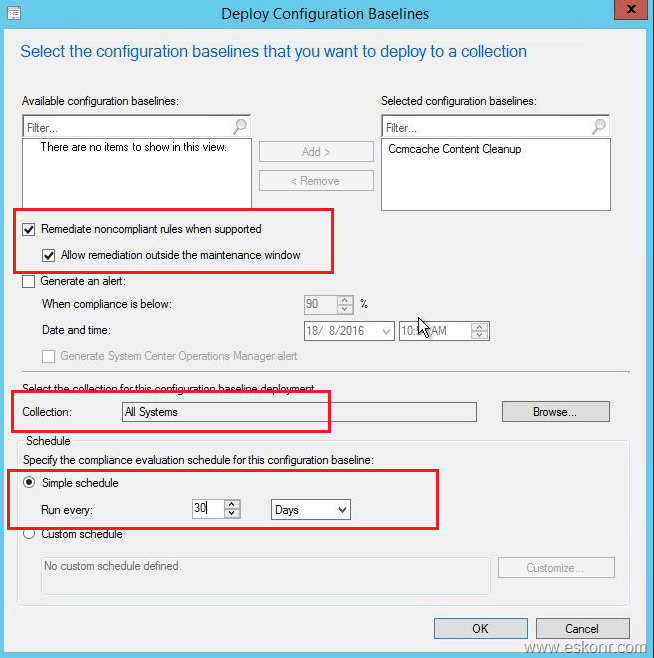 Select the configuration item that we created above ,add and click ok .
we are now created configuration baseline and ready to deploy to collection that you are interested in with schedule. Adjust the below settings according to your environment like collection and schedule . 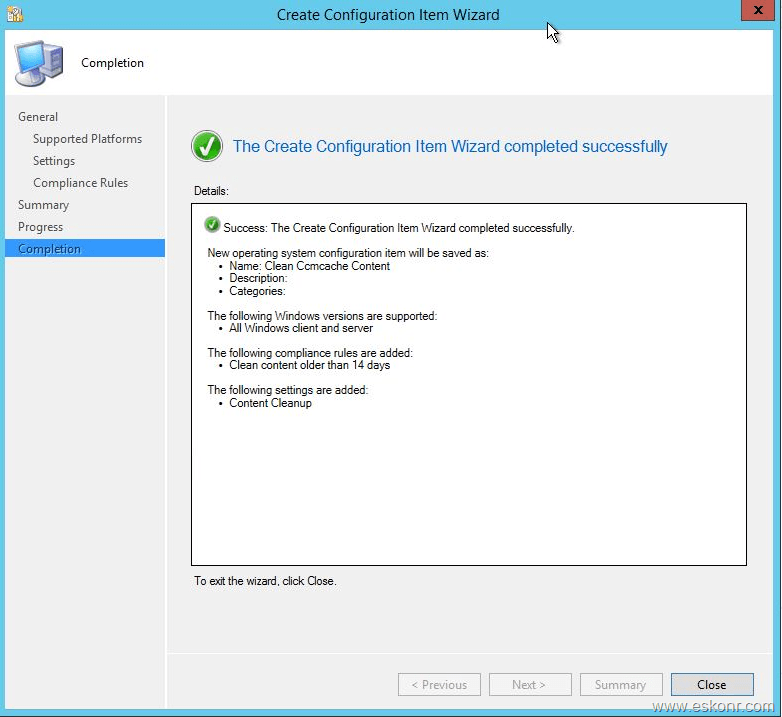 Wait the clients to receive the policy (trigger machine policy retrieval ,if you want to speed up the process) and let remediation happen..
Go to any SCCM client ,open configuration manager applet, look at configurations tab ,you will there is no ccmcache cleanup available. 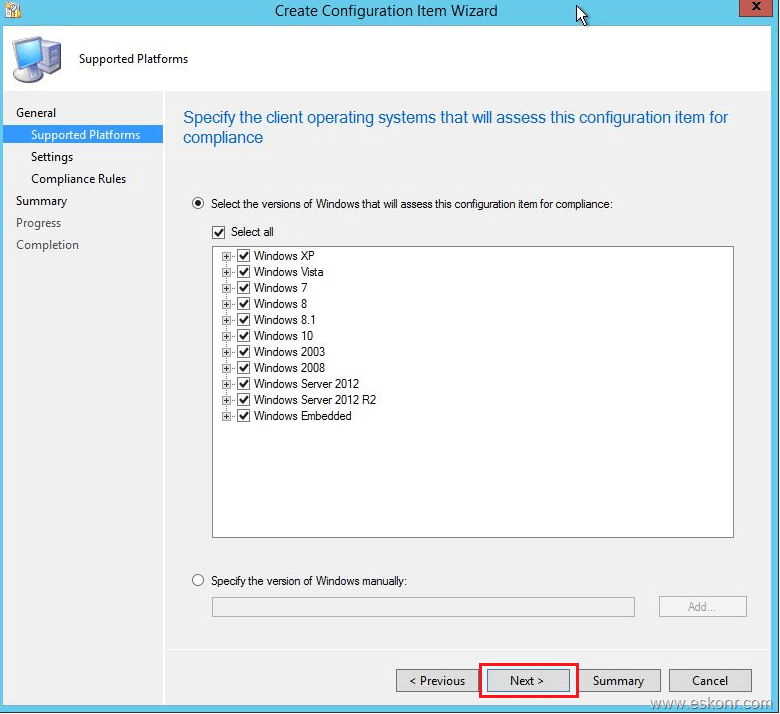 As soon as you refresh the machine policy ,client will poll and get the newly created policy which will appear in configurations tab ,click on evaluate. Evaluate will take few seconds to run the discovery script and if it find the count other than 0 ,perform the remediation script that we used . 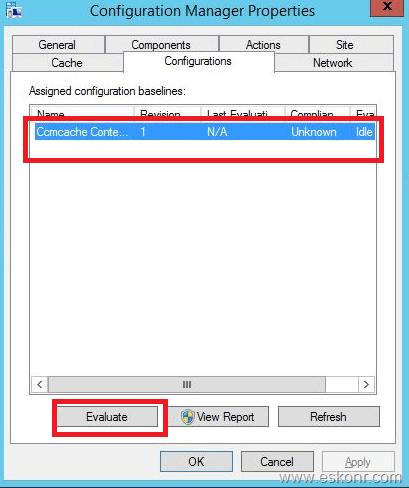 After a while ,client evaluate the baseline and report the status to SCCM ,which you can see in console ,configuration baseline. With this ,we have completed task of how to clean up content in ccmcache older than 14 days. How to avoid following these steps and create all in 3 steps ? 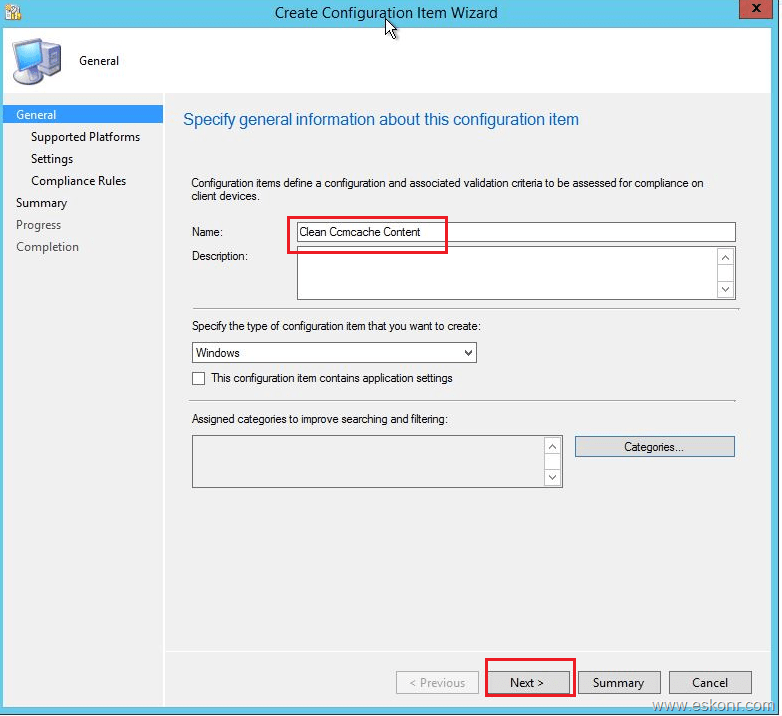 To make this task easier for you ,I have exported the Configuration baseline into cab file . So all you need is ,download the cab file from here ,go to configuration baseline ,import the cab file and change the settings how you want in the PowerShell using above steps. CIDownloader.log –>Records details about configuration item definition downloads. DcmWmiProvider.log—>Records information about reading configuration item synclets from Windows Management Instrumentation (WMI). 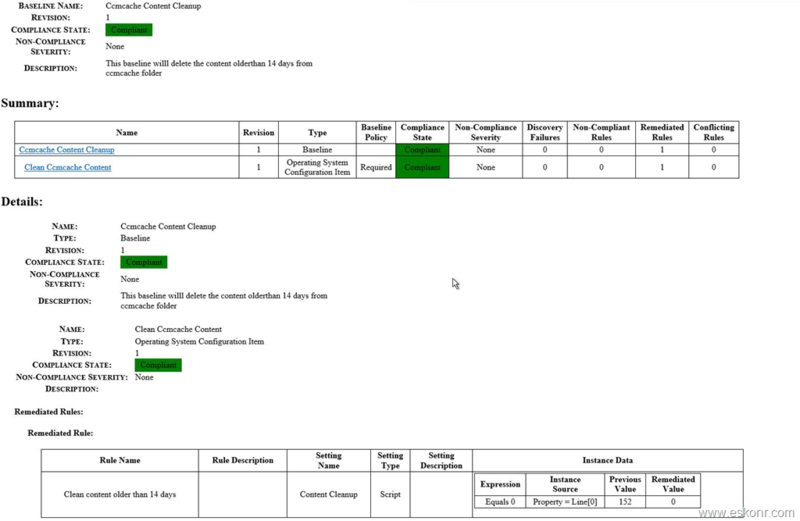 DCMReporting.log—>Records information about reporting policy platform results into state messages for configuration items. CIAgent.log—>Records details about the process of remediation and compliance for compliance settings, software updates, and application management. 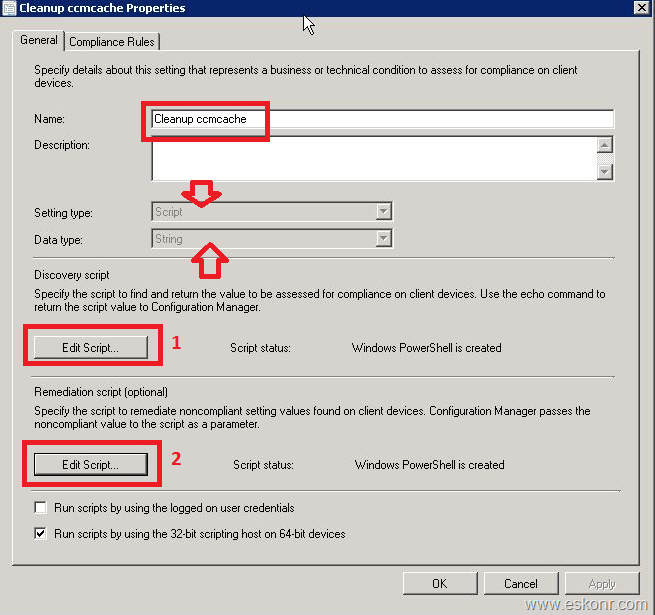 27 Responses to "SCCM Configmgr how to clean ccmcache content older than x days using compliance settings"
A colleague of mine change the second line to only get cached folders for non-persistent applications. Great ,thanks for the information .I saw this other day in technet https://social.technet.microsoft.com/Forums/en-US/55cfca45-555c-46aa-8507-f764bfc333c1/client-cache-persistincache-null-in-wmi?forum=ConfigMgrCBGeneral but haven't had time to test this .I will look into this and update the blog post. Thanks a lot Eswar for the automated solution, policy start working after bypass powershell script execution in client agent settings. We have power-shell execution policy = AllSigned and we don't want to change the client settings, so is there any way without changing the client setting to make the script work ? 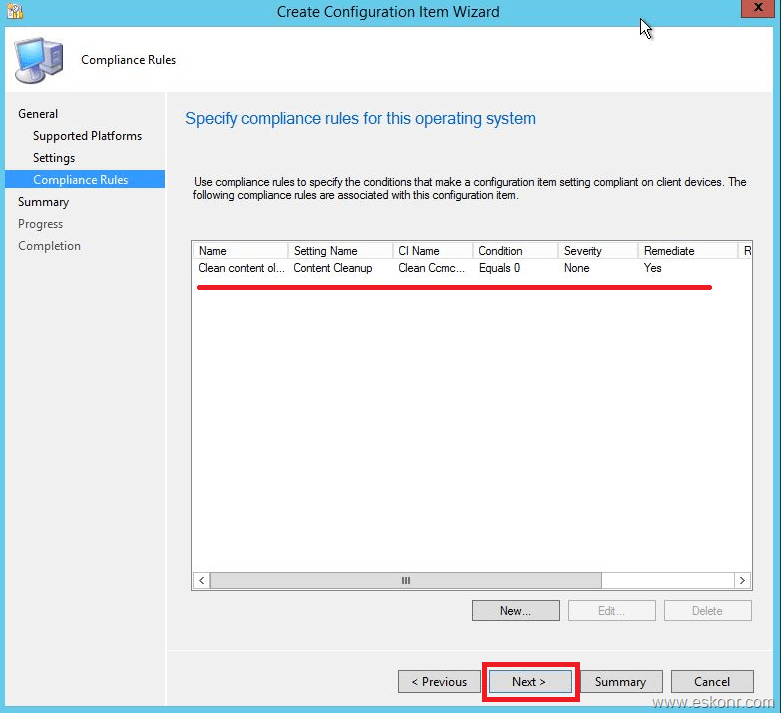 Using compliance Item ,you cannot deploy any scripts as file instead you can directly run script but for that ,you should have the setting enabled in client settings. 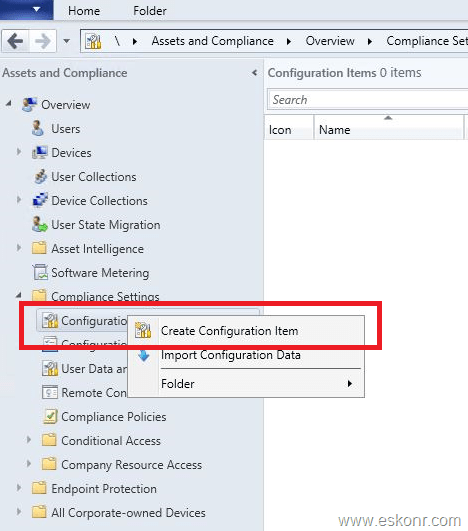 If you have set to allsigned ,you can either create new client settings and choose bypass for this compliance item or create package to run on all machines every 2 weeks or so to cleanup the content. If you package/application method ,you can run the powershell script with bypass command line. Thanks for this article. I have a issue with scripts - "Script Not signed". After you import the cab file ,edit the configuration Item,go to settings ,edit the script (discovery script) ,change $MinDays = 7 to $MinDays = 45 or whatever you need,save changes. Do the same for remediation script as well ,save changes and you are done. 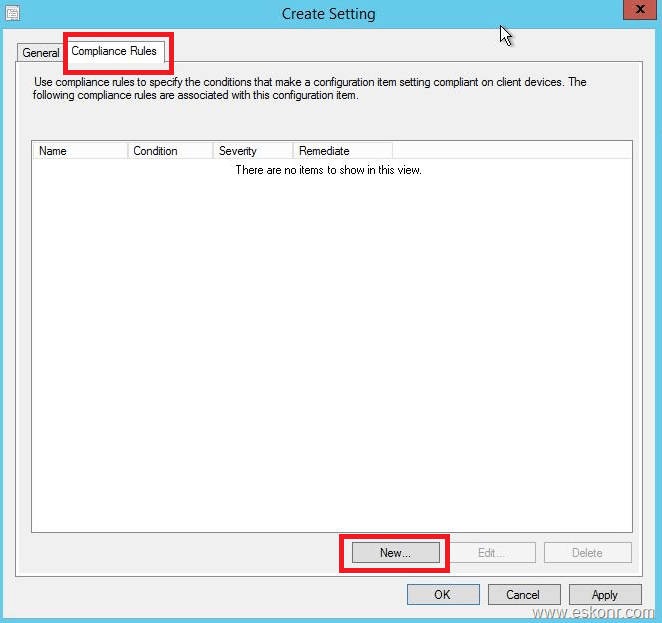 I have Implemented this and when we can see the compliance from SCCM i mean how long it will take to get the Compliance report. what do you mean compliance report ? in CB report ? do you want to know whether CB is failure or success ? If so ,it will be right after the compliance baseline is executed. yes compliance report for how many re-mediated for deployed collection. Have a look at the default reports to check the status . 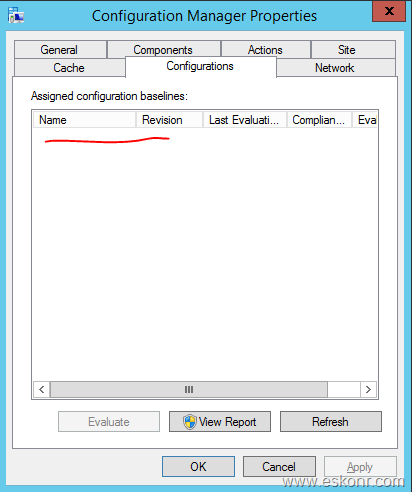 Did you run the default reports for compliance baseline ? Does it delete cached content even if it is supposed to be Persistent? thats interesting. I haven't tested with persistent option.you can give a try and post me the results if that works or not. Meantime i will check on this. 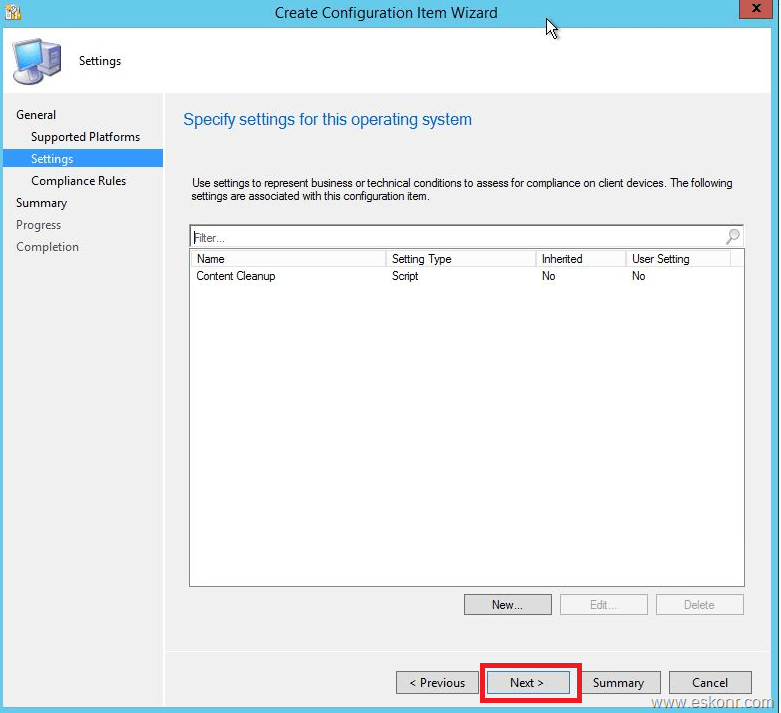 I could not find persistent cache option in SCCM Current branch .Where do you see this option in the deployment ? Welcome Steve, glad it helped. Thank you! I've been looking for a solution like this for a while now. Most of the laptops in my company have 128gb SSDs and those things full up pretty quick. True, if you are running on SSD, disk fill up so easily due to applications and other stuff and it always need to clean old stuff. Some of the packages we create looks for Repair, as shorcuts are advertised. 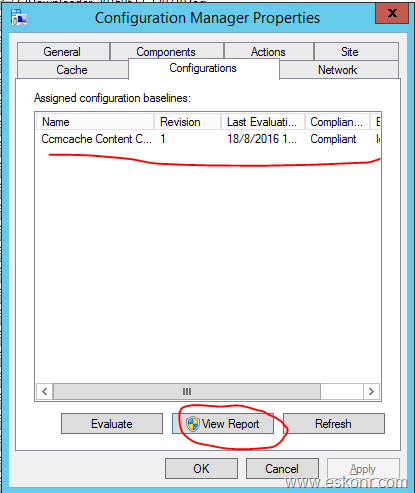 And we are facing many issues with the content missing from ccmcache folder. We used Persistent content option but do we have any alternative fix for this? I will need to look at the script to exclude the content that are persisted. I will check on this weekend and update you.